Dr. Fratantoni is an Assistant Professor, attending physician, and medical educator at the Goldberg Center for Pediatric Community Health at Children’s National Medical Center and the Medical Director of the Complex Care Program. She provides clinical care to children with complex medical conditions who require multispecialty care. As an educator, she develops educational programs and provides clinical supervision for pediatric residents. Her research interest is centered on the transition of complex children and their families from the hospital to home. 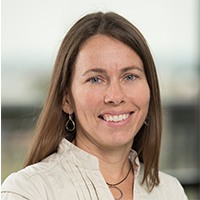 She is the Principal Investigator on a 2014 PCORI study investigating the effects of peer support for parents and infants after discharge from the Neonatal Intensive Care Unit.